Probiotics are found in fermented foods, but above all, in probiotic supplements which are formulated to provide several billion microorganisms per capsule. For optimal efficacy, a course of probiotics and prebiotic capsules is often the first choice. Prebiotics are natural compounds that support the growth of a probiotic strain and thus promote their benefits. Now in DR Caps™. New acid-resistant delivery method. One of the most important microbacteria for intestinal health. Derma Relief + PolypodiumPolypodium leucotomos Extract 500 mg:90 Veg. Caps. Derma Relief + PolypodiumclosePolypodium leucotomos Extract 500 mg:90 Veg. Caps. Polypodium leucotomos Extract 500 mgTraditionally used to treat psoriasis and vitiligo. H. Pylori Fight 100 mg60 Veg. Caps. H. Pylori Fight 100 mgclose60 Veg. Caps. Natural aid to maintaining intestinal and vaginal flora. Adults. Take one stick a day. Empty the contents of one stick sachet into the mouth, undiluted. Once-daily dosage. Four billion micro-organisms per stick. Probiotic supplements are often associated with their beneficial effects against various gut disorders such as diarrhoea, constipation and bloating. However, their virtues extend well beyond the gut microflora. This snapshot of the latest research findings can help you choose the right probiotic or prebiotic supplements for your needs. Improving the immune defences: It is now well-established that probiotics are able to boost the immune response and thus combat numerous pathogens. 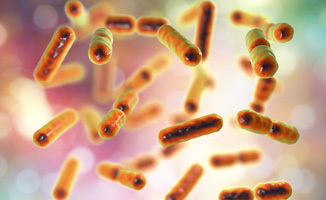 Cardiovascular benefits: The probiotic strain Lactobacillus reuteri has been shown to be effective against hypercholesterolemia and hyperlipidaemia, two risk factors for cardiovascular disease. Slimming effects: The latest results are very positive. In terms of which probiotic to choose as a slimming aid, Lactobacillus gasseri both encourages the elimination of body fat and restricts intestinal absorption of lipids, and is thus attracting significant interest for its ability to combat excess weight and obesity. Balance of vaginal microflora: The idea that there’s a probiotic for ensuring balance of vaginal flora has now been confirmed by several studies, with certain strains able to combat vaginal infections. 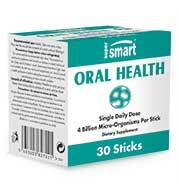 Oral hygiene: Scientists have also identified effective probiotics for preventing or fighting infections in the mouth. Effects on the skin: Research demonstrates that probiotic capsules offer benefits against many skin problems (spots, redness, itching …). Prevention and treatment of various diseases: More broadly, studies show that a course of probiotics can offer preventive and therapeutic effects against many health conditions. Are you still wondering which probiotic supplement to choose? Which is the best one? These microorganisms are known to be fragile and it’s therefore important to look closely at the form in which they’re offered. 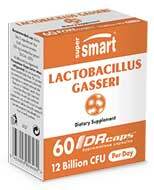 SuperSmart’s probiotic capsules are all gastro-resistant – which means they are able to withstand harsh stomach acids.